Having grown up with people assuming her mother was the nanny, Prince Harry’s fiancee has gone on to develop a multi-faceted career. Meghan Markle was born in Los Angeles in August 1981, six days after the wedding of Prince Harry’s parents 5,500 miles away in St Paul’s Cathedral, London. Her parents were Thomas Markle, an Emmy award-winning TV lighting designer originally from Pennsylvania, and Doria Ragland, a temp office worker posted at the same studio at the time they met. They had married in 1979. With a white father and black mother, Markle later recalled the problems they experienced in the largely white Valley area of the city. “There was my mom, caramel in complexion with her light-skinned baby in tow, being asked where my mother was since they assumed she was the nanny,” Markle wrote last year. Meghan Markle (C) and her mother Doria Ragland watch the closing ceremonies for the Invictus Games in Toronto, Ontario, September 30, 2017. Ragland worked as a yoga instructor and, in Markle’s words, “a free-spirited clinical therapist”. Markle’s mother raised her to have her “eyes open to sometimes harsh realities”, she wrote in Elle magazine. They took trips to places such as Oaxaca, in southern Mexico, where Markle was struck by seeing poor children peddling sweets for a few pesos on the streets. Her Instagram feed hints at possibly leftish politics too. In July 2016 when anti-Brexit protesters marched in London she posted a picture of a placard saying “If EU leave me now, you take away the biggest part of me”. She may also be alone in Royal circles in enjoying the work of Noam Chomsky, whose book critiquing the rise of undemocratic elites in the US, “Who Rules The World”, she described as “a great read”. As for US politics she posted “I’m with her” about Hillary Clinton. Markle’s parents divorced in 1988. Three years later, aged 11, their daughter wrote to the then first lady, Hillary Clinton, to complain about a sexist TV advertisement. The ad, which she had seen in a classroom, had the tagline: “Women all over America are fighting greasy pots and pans”. After she rallied support, the reference to “women” was changed to “people”. Ragland still lives in Los Angeles, and Prince Harry was furious when she was inundated by press attention last year over their relationship. He complained of the “bombardment of nearly every friend, co-worker and loved one in [Markle’s] life,” and the harassment of Ragland at her home, where she has had to “struggle past photographers in order to get to her front door”. Markle’s first TV role came in an episode of the medical drama General Hospital in 2002. She went on to TV roles in CSI, Without A Trace and Castle and then appeared in feature films including Get Him To The Greek, Remember Me and Horrible Bosses. Markle as Rachel Zane and Patrick J Adams as Michael Ross on Suits. 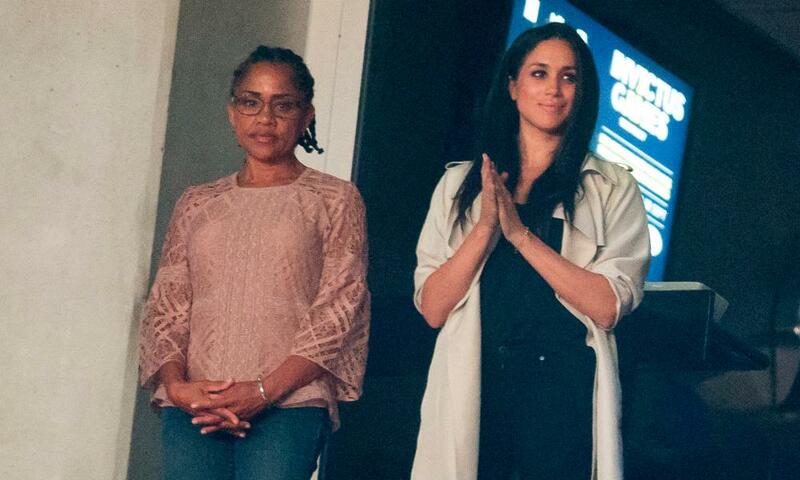 Markle married the film producer Trevor Engelson at a four-day wedding party in Jamaica in 2011, but the couple divorced two years later, citing irreconcilable differences. She is best known for her role as a lawyer in the legal drama Suits, shot in Toronto, where she had been living until she packed up her rented house this month. It was during shooting in the summer of last year that Markle is understood to have met Harry for the first time. With her rising TV and Hollywood profile came two parallel careers, one as a lifestyle entrepreneur and the other as a humanitarian activist. Markle established an online brand, The Tig, for “those with a hunger for food, travel, fashion and beauty”. She said it was named after what she called her “ah-ha moment” when she had a sip of the expensive wine Tignanello “which opened up my palate and perspective to wine knowledge”. Markle also became the global ambassador for World Vision Canada, which campaigns for better education, food and healthcare for children around the world. She visited Gihembe refugee camp in Rwanda as an advocate for UN Women, holding meetings with female parliamentarians in the capital, Kigali. Markle is aware of the dissonance between her interest in humanitarianism and her showbusiness career. She recalled, while driving back from the refugee camp, receiving an email from her manager with an invitation to the Bafta awards.